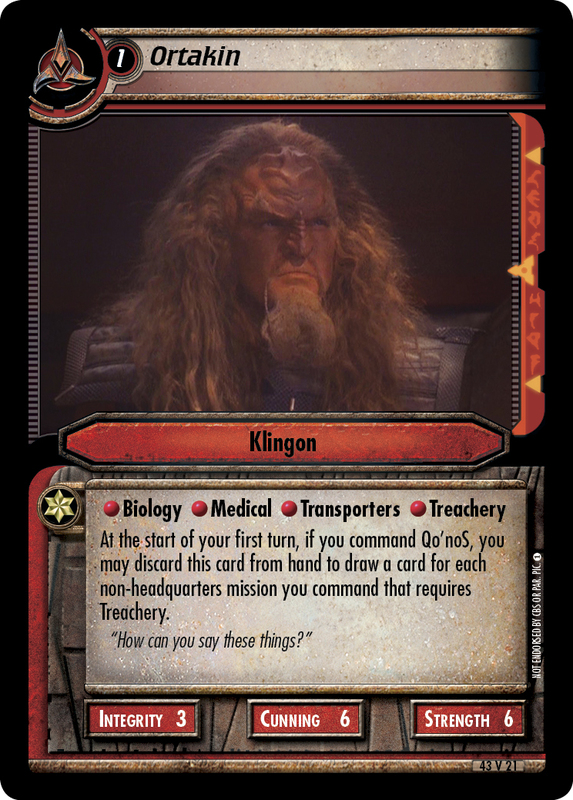 Smuggler. 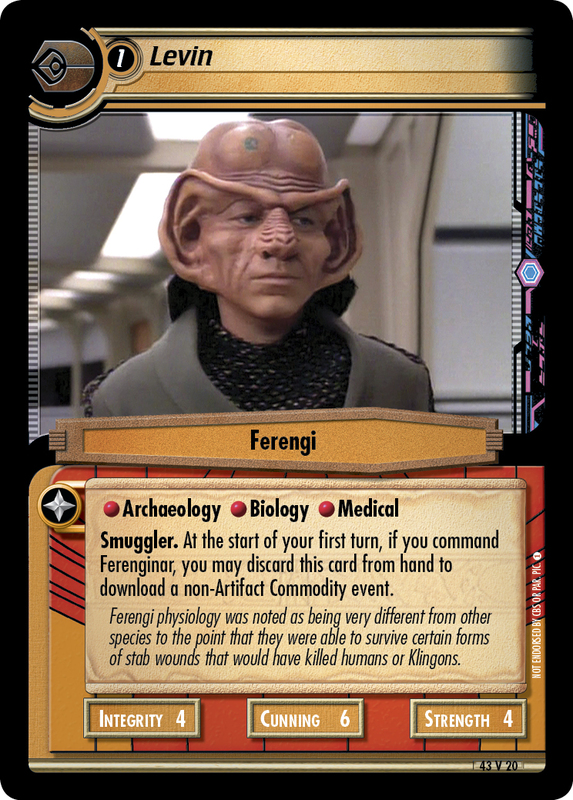 At the start of your first turn, if you command Ferenginar, you may discard this card from hand to download a non-Artifact Commodity event. 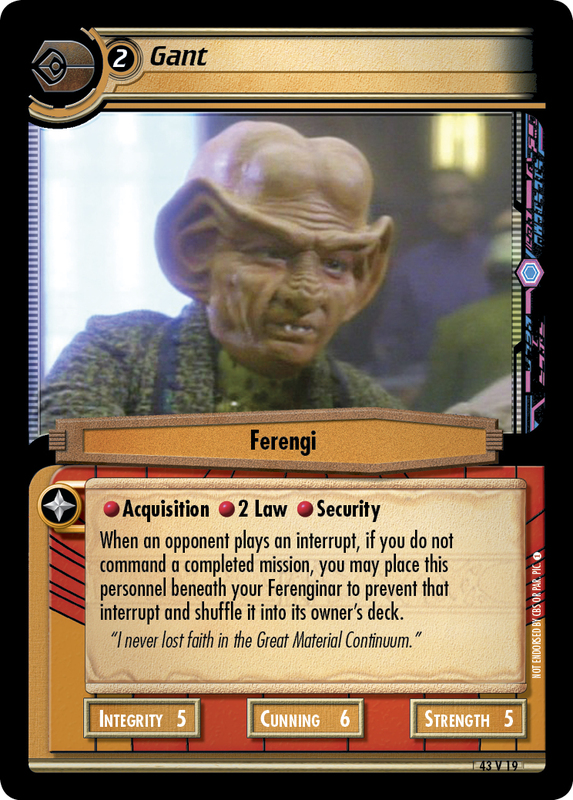 Ferengi physiology was noted as being very different from other species to the point that they were able to survive certain forms of stab wounds that would have killed humans or Klingons.